Hot Band: Glen Hardin, James Burton, John Ware, Rodney Crowell, Hank de Vito and Emory Gordy. 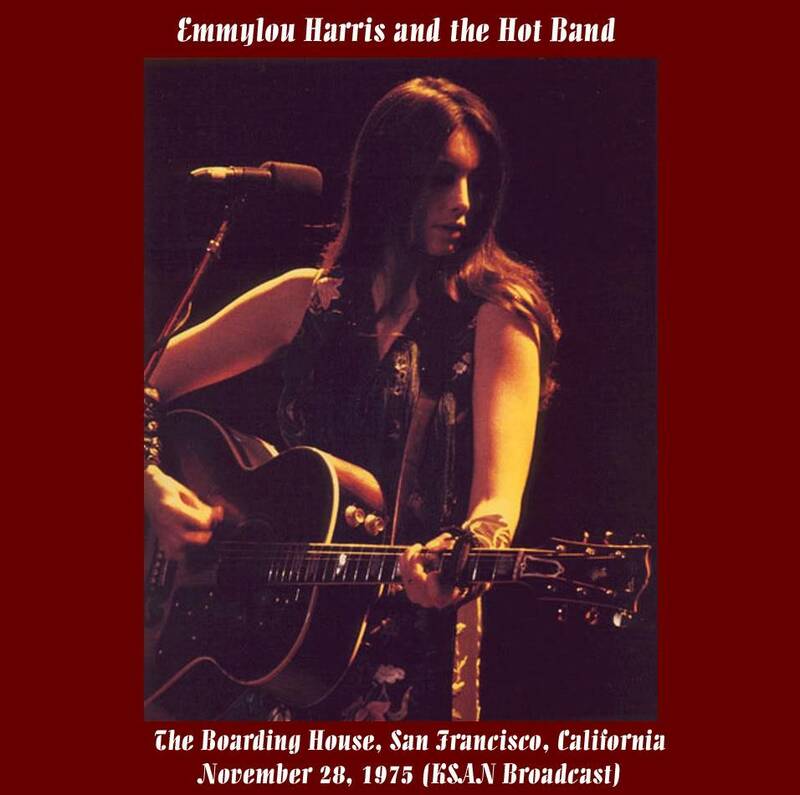 The first time they played as Emmylou Harris & The Hot Band was 1975-04-03, the first night of a 3 night run at the Boarding House. Sounds like this show was done between releasing her debut "Pieces OF The Sky" and her 2nd album "Elite Hotel", both released in 1975. She signed with the label in October 1974, so they were quick albums. The show is from the Friday of Thanksgiving weekend of 1975.